1. How cute is Elaine Turner's new YouTube series!? I love how real she is. 2. Gift guides have started! I'll be posting a new one every day at 1pm ET so be sure you don't miss out! If you missed any, you can always check them out here. 3. I don't need this luggage, but I need this luggage. 4. DO YOU LOVE THE WEST WING?! You MUST read this article #amazing. 5. Are you following along on Pinterest? I've been updating it every day with holiday ideas (for him, for her, gift guides, and holiday fashion). 6. This dress is literally perfect for the holidays. 8. C. Wonder made the most wonderful gift guide I've seen so far. 9. Snagged this cape this week and it's safe to say I feel like a baller. Get your own here. 10. What gift guides do you want to see the next few weeks?! I'll make them for you! 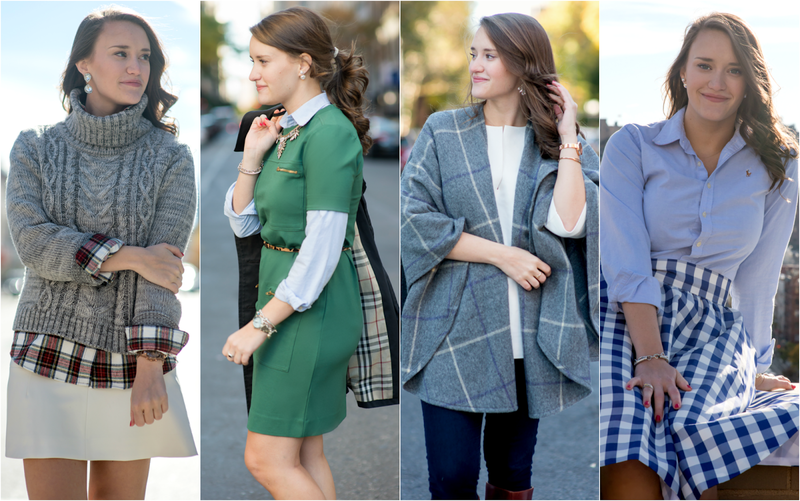 Loving these links - and the round up of your looks from this week! .,., . ... . ..,,.